In a land where the sea grows restless, the summer breeze turns to ice and sleet, and Mother Nature has plans of another sort, dark and supernatural forces begin to unfold, fighting to unite the broken prophecy. In the midst of a tangled web lie the Castlecrays, a family with deep tragedy and mysterious secrets, who are torn apart and forced on a treacherous journey. Coming from a time when kings rule the realm, knights fight for honor, and eminence is power, the children of Castlecray are thrown into a unknown magical ambiance where nothing is as it seems, and bedtime stories come alive right before their eyes. Sweeping from a land of severe and savage seas to the sparkling underwater spires of a magical unknown world, this is a tale of lords and ladies, knights and nobility, traitors and trolls, who are all intertwined in a weaving maze of conspiracy and deception. Amidst gallantry and guilt, love and loss, the Castlecrays find their fate to be in the hands of their enemies, of each other, and of their new mysterious allies, the Wavekeepers—all vying to keep the balance between good and evil, land and sea, in a fight for the ultimate desire; the power of MER. In a land where the sea grows restless, the summer breeze turns to ice and sleet, and mother-nature has plans of another sort, dark and supernatural forces begin to unfold, fighting to unite the broken prophecy. In the midst of a tangled web, lie the Castlecrays, a family with deep tragedy and mysterious secrets, who are torn apart and forced on a treacherous journey. Coming from a time of when kings rule the realm, knights fight for honor, and eminence is power, the children of Castlecray are thrown into a magical ambiance where nothing is as it seems, and bed-time stories come alive right before their eyes. Sweeping from a land of severe and savage seas to the sparkling underwater spires of a magical unknown world, this is a tale of lords and ladies, knights and nobility, traitors and trolls, who are all intertwined in a weaving maze of conspiracy and deception. 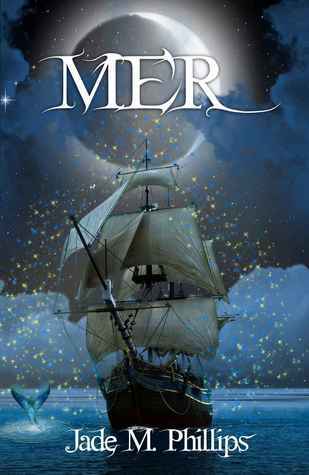 Amidst gallantry and guilt, love and loss, the Castlecray’s find their fate to be in the hands of their enemies, each other, and their new mysterious allies, the Wavekeepers, all vying to keep the balance between good and evil, land and sea, in a fight for the ultimate desire; the power of MER. Ta dah! Needs a little tweaking doesn’t it? Especially the last sentence, which is the longest run-on sentence ever! Hahaha! What do you like about it? What don’t you like? What would you change? What do you want to know more about? Leave a comment and help out a rookie writer. Thanks! This will be a day marked in history… my first ever blog post! Let me tell you a little about me and why I started this blog. It was a dark and stormy night… well no, actually it was a hot summer afternoon in Las Vegas, NV. I was visiting my best freind in the whole wide world for summer break (she had just broken my heart and moved to Vegas from where we grew up together, our hometown of Tucson, AZ,) and since we had already watched Ice Cube’s “It was a good day” MTV video at least twenty times, we figured we’d find something better to do. My friend then suggested that we write. “Write?” I said. I had always loved reading, some of my first favorites being from Anne Rice’s “The Vampire Chronicles,” Madeleine L’Engle’s “A wrinkle in time,” to John Grisham’s “The Client,” and Stephen King’s “IT,” but it had never occured to me that I could do what they do, write. We both got out a pad of paper and pen and started to write poetry, while listening to Tom Petty, Smashing Pumpkins, The Cure, Counting Crows, Nirvana, Radiohead and countless other 80′s and 90′s faves. I now have three full journals of poetry from just that summer. And it stuck. Writing, I mean. From there I couldn’t stop. I lost my interest in poetry and began writing short stories, my first being a collection of shorties, “The Apartment Complex Chronicles,” which I wrote when I moved into my first apartment…shocking, I know. Someday I think I might actually publish them (after LOTS of rewriting and editing.) Haha. Then when I picked up my first guitar and taught myself how to play, using Jewel’s “A piece of you,” tabs book, I figured that I may as well write my own songs. From there, I joined a chick rock band as lead singer and rhythm guitarist, and we swept Tucson’s dive bar scene for two years, having the best times of our lives. While going to college, I realized that I LOVED my writing classes, and hated everything else, and considered having that as my major. But life, and dreams, got in the way and I ended up taking time off from school to work at a myriad of jobs, like acting and doing stunts at an Old Western theme park, being a photographer’s assistant, waitressing and bartending, all the while still passionately reading and writing. When I met my better half, I decided to go back to school; this time for something altogether different, Interior Design. That stuck and I graduated in 2007 with my degree, just a few months before my pink little chubby baby, Abigail, was born. That was almost five years ago. Since then, I had opened my own small window coverings business and did freelance interior design on the side, but never forgetting my love of books. And then one day, about seven months ago, I had an epiphany! I was going to finally do it. And I did….write a book. It’s going to be a crazy ride, I guarantee it!